President Muhammadu Buhari has assured the people of Adamawa of more Federal Government projects if re-elected into office. 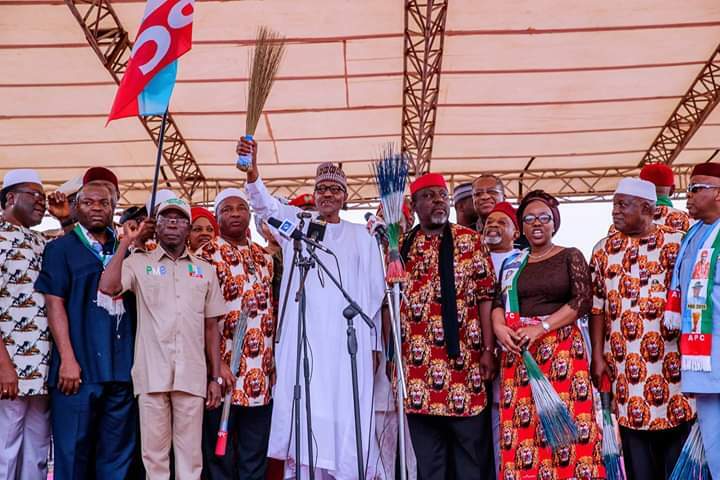 Buhari, presidential flag-bearer of the All Progressives Congress (APC), gave the assurance Thursday while addressing people of the state during his campaign rally in Yola. 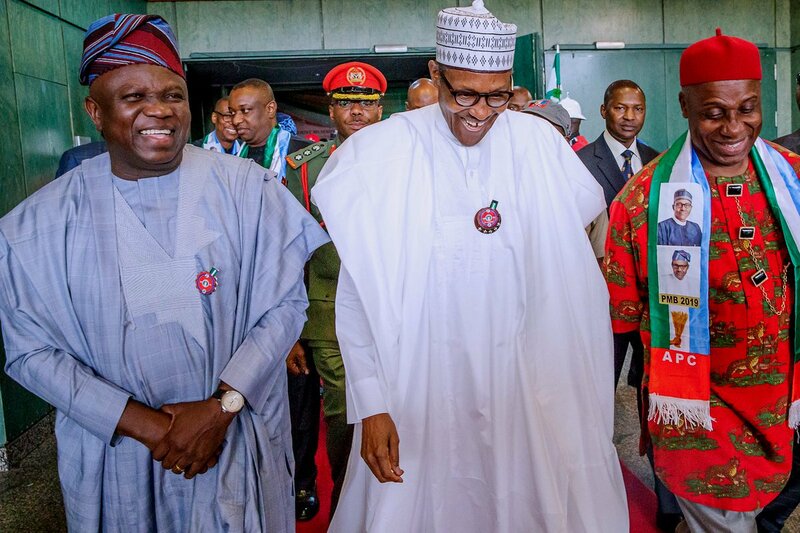 Buhari said that he had fulfilled his major campaign promises to the people of North East, particularly Adamawa, and had, this time around, met with leaders of the state, who listed some projects required if APC was granted a second term. He described as embarrassing, the non-completion of chochi water irrigation project he started under the defunct Petroleum Trust Fund (PTF), which was abandoned by successive administrations. In his speech, Gov. Muhammadu Bindow lauded the president for siting numerous projects in Adamawa, adding that apart from improving security, construction and rehabilitation of roads were in progress across the state. Bindow assured the president of more votes in Adamawa, adding that the state was set to make history by fielding two female senatorial candidates under APC. Already, we have Sen. Binta Masi, who is the only female senator from the north and now we have Sen. Binta and Aishatu Ahmed, who would join other APC candidates in emerging victorious in the coming election, Bindow said. In his remarks, the National Chairman of APC, Comrade Adams Oshiomole, listed achievements recorded under the APC-led federal and state governments in Adamawa, and urged the people to vote the party at all levels, for continuity. Also speaking at the occasion, the Secretary to the Government of the Federation, Mr Boss Mustafa,who also listed federal government projects in the state, assured the president of the mandate of the people. In his remarks, the APC National Vice chairman, North East, Alhaji Mustafa Salihu, announced the endorsement of Buhari and Bindow by 27 political parties in Adamawa, whose representatives attended the rally in solidarity. Salihu said members of other parties, like other citizens of Adamawa, appreciated the developments recorded in the state, particularly in areas of security, agriculture and economic empowerment.